In 175 days you could climb Mount Everest four times. You could ride across Canada and back on a bicycle. In 175 days you could swim back and forth across the Atlantic Ocean with a relaxing vacation in the middle, or in 175 days you could visit every lake in Alberta. Or in 175 days you could make the ultimate comeback in sports: braving the game that people thought you’d never play again, which four brave Canadians have just done. For most of Canada and the hockey world as a whole, the season opener for the Humboldt Broncos on Sept. 12 was the most anticipated hockey game of the year. But for a select few, there’s a more important game on the books. For Kaleb Dahlgren of the York Lions, Matthieu Gomercic and Bryce Fiske of the UOIT Ridgebacks and Nick Shumlanski of the UPEI Panthers, the return to the ice has never had more anticipation, preparation and meaning. All four young men were on that fateful bus ride to Nipawan, Sask., back on Apr. 6. Now, 175 days later the Lions and Ridgebacks are set to face off Friday in a preseason contest, while the Panthers opened the regular season on Wednesday night. Each one of these young men has had their own individual road back to the game. Dalhgren is now one of the most recognizable hockey players in the nation with his involvement in multiple charity and memorial events tied to the Broncos. 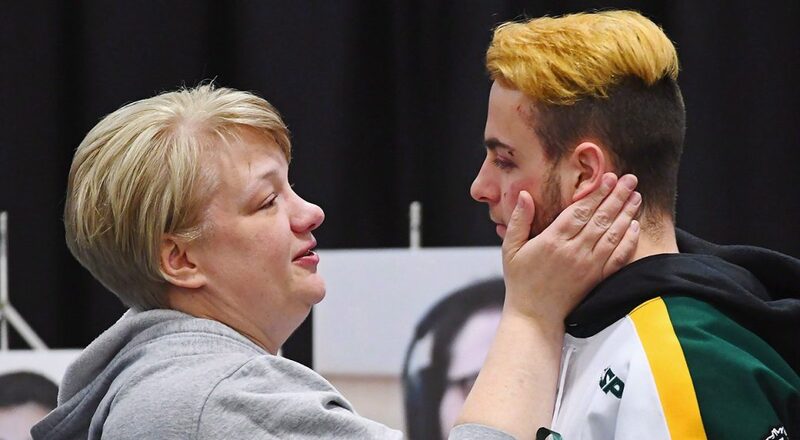 Though it’s doubtful he will be cleared to play in the fall semester as he recovers from a brain injury, Dalhgren has already started to impact, motivate and bond with his new team like no other York Lion ever has, except for with one other. Much of the focus on these players returning to the ice is on them turning the page and beginning life as student-athletes. But an instrumental component of the story is the coaching. 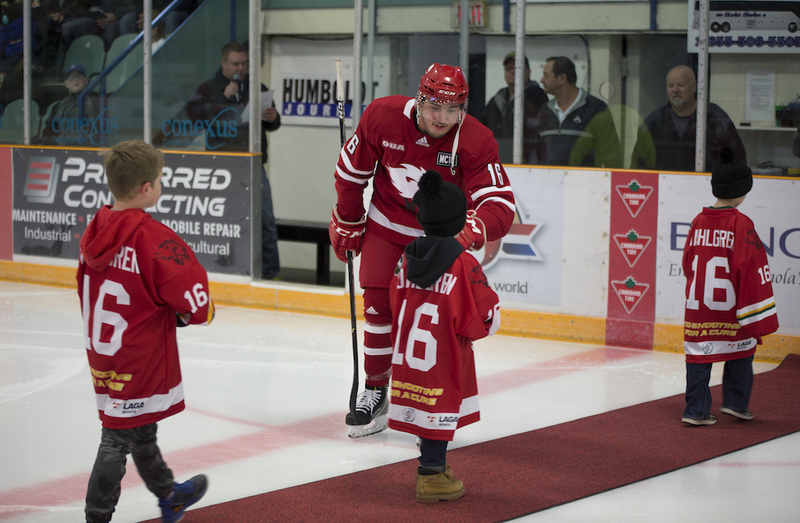 Not only the morals and values that Broncos head coach Darcy Haugan instilled in the young men, but also the influence of Mark Cross, their assistant coach in Humboldt, and a York Lions alumnus, who played for the team from 2011 to 2016. While Cross was instrumental in the recruitment of Dahlgren to the Lions, his impact on the men’s hockey program is much more. Herrington, clearly moved by the influence and impact that Cross had on the Lions hockey program, still sees his former player’s impact today in his current roster and team culture. While attending York, Cross’ incredible character, personality and leadership shined through his red and white jersey. Though Cross left us too soon, it’s clear that he left a lasting impression on the Lions’ program that continues to this day. So when Dahlgren entered the recruiting conversation, it wasn’t long before his assistant coach in Humboldt made the call to York. With Cross’ legacy, and the imprint that he made during his time as a coach with the Broncos, a memorial tour through his home province of Saskatchewan was organized from Sept. 20-23 to allow for Herrington to not only show his players where the ultimate Lion was born and raised, but allow them to pay homage to one of their greats - the best way they knew how. 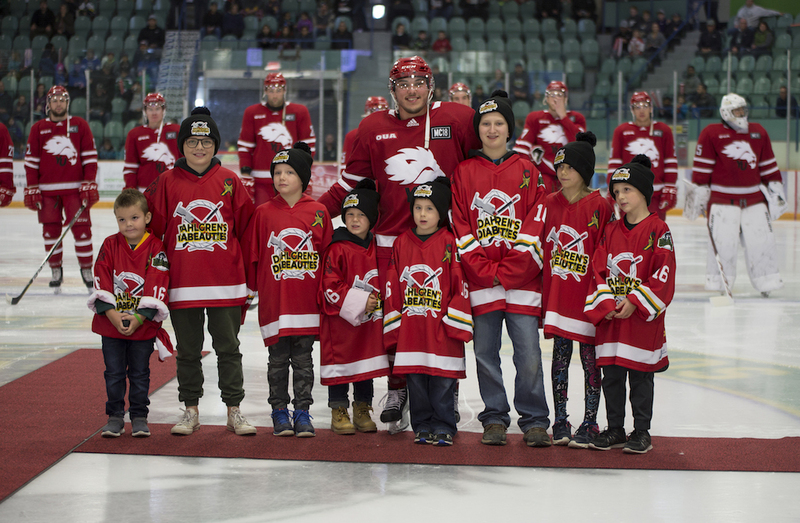 With a game in Cross’ hometown of Strasbourg against the Regina Cougars, in Humboldt against the Calgary Dinos and finally in Saskatoon vs. the Saskatchewan Huskies, the Lions and fellow U SPORTS men’s hockey programs were given the chance to participate in a very touching tribute. For Gomercic and Fiske, the season’s first game with UOIT also offered a chance to take that next step as hockey players, student-athletes and young men. Following the crash, recruitment wasn’t top of mind for any of the U SPORTS programs considering players on the Broncos roster. But with time and effort from former Humboldt assistant general manager Jason Neville, players began to reach out to the schools that had been interested and expressed interested in lacing up the skates come the school year. With both Gomercic and Fiske still hoping to be Ridgebacks with Hodgins at the helm, the only thing remaining was the preparation it would take to be ready for hockey come the third week of August. “They just want to go to school and they just want to play hockey,” Hodgins puts simply. While the OUA regular season doesn’t begin until October, one Humboldt Bronco has begun his season before any of the others. On Canada’s east coast, Shumlanski has already made an impact for the UPEI Panthers in Charlottetown, as the AUS campaign officially got underway Wednesday night, with the rookie scoring in his U SPORTS debut. As he begins his rookie season in varsity athletics, Shumlanski and Panthers head coach coach Forbes MacPherson share a very unique relationship - the duo spend as much time off the ice as they do in MacLauchlan Arena on campus, with Shumlanski billeting with the MacPherson family. While all four players insist on being treated and viewed as just any other student-athlete, there still remain moments in the dressing room where their teammates and coaches can’t help but look up from tying their skates and taping their sticks, and think about what an inspiration these young humble men are to Canada and the hockey world. There are multiple ties to the Humboldt Broncos’ tragedy at the U SPORTS level, from playing to coaching, to even one caring, intelligent athletic trainer from the Mount Royal Cougars named Dayna Brons – who was hired by the team after working with the Cougars men’s soccer squad while completing her athletic therapy certificate at the university. The young men joining U SPORTS hockey this season provide university sports in Canada with a unique connection to an event in sports history that we sadly will never forget. But we also will never forget their ultimate comeback story - an incredible 175 days through a combination of courage, determination, inspiration and the everlasting mantra from their late head coach Darcy Haugan: “It’s a great day to be a Bronco, gentlemen”.